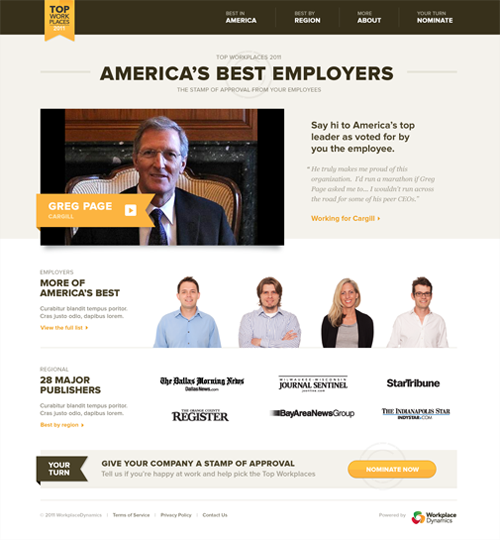 Topworkplaces believe that the most successful companies are the ones that employees believe in. Their program recognises good employers on 30 regional lists and one national list. The evaluations for the list are based purely on employee opinions. 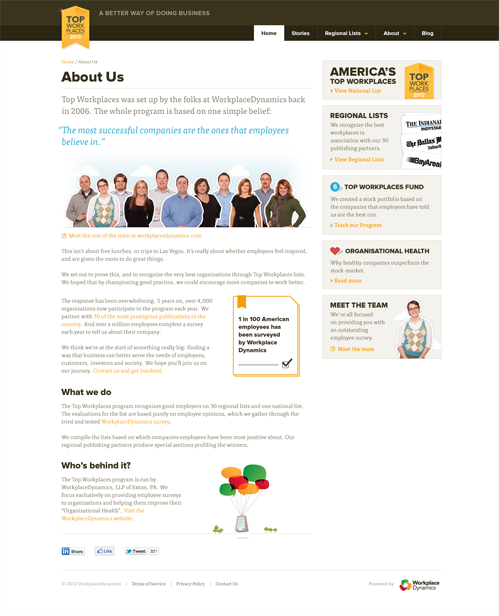 The Top Workplaces program is run by our friends at WorkplaceDynamics and we worked with them to overhaul their website visually and also give them an editorial platform to share the huge amount of insight they’ve gained around organisational health. 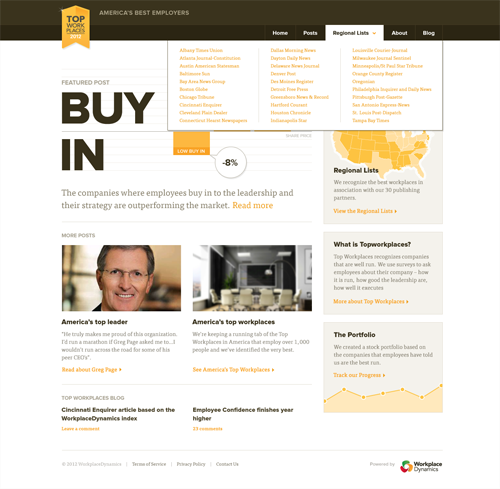 Our trusted design partners Tangerine created the brand, we worked through the UX and UI design and TBWCF worked with us to take a responsive approach to the front-end build and integrate the site with Wordpress. 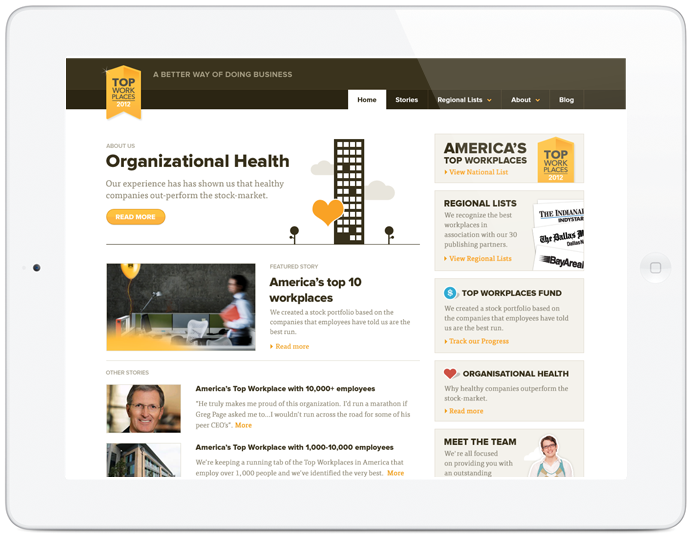 Top Workplaces believe they are at the start of something really big so we can’t wait to help them develop their new range of ‘Organisational Health Tools’ in the near future. Supereight have been an invaluable design resource for us over the last 3 years. They understand our business and share our philosophy of friendly, simple design. We’ve been delighted with the final websites they’ve produced. Let's work together and get your project started.